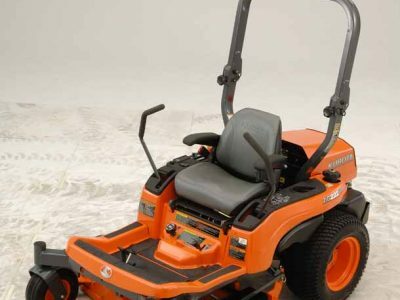 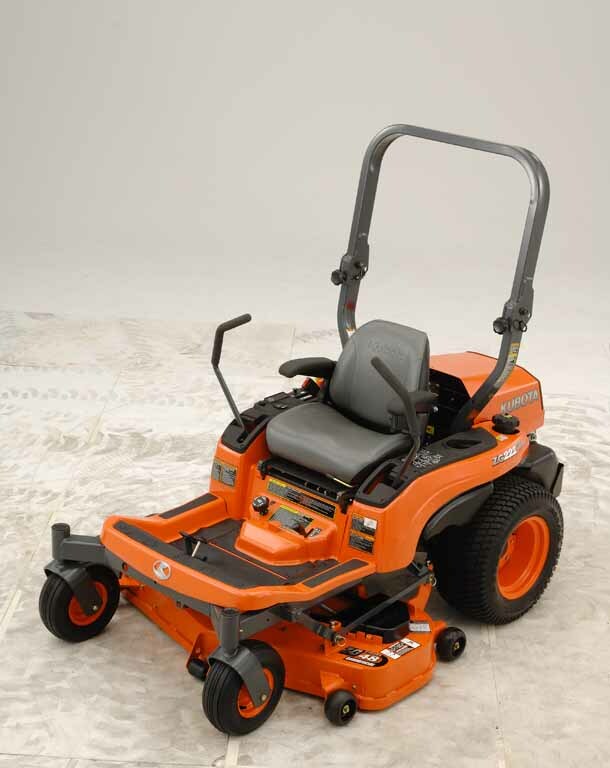 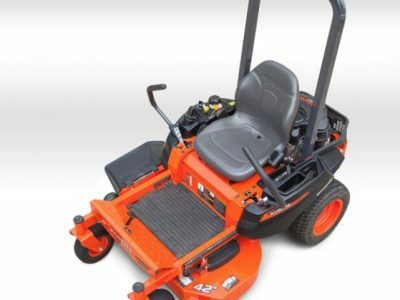 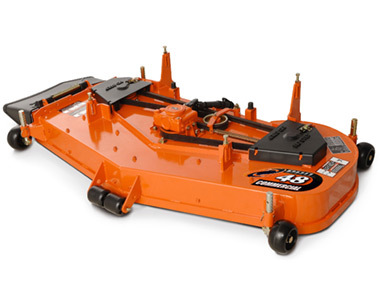 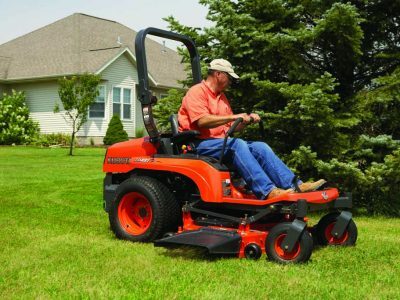 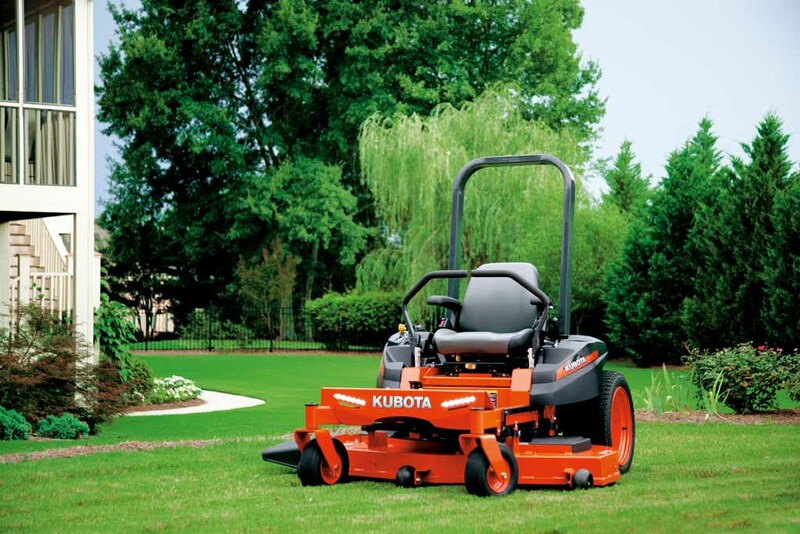 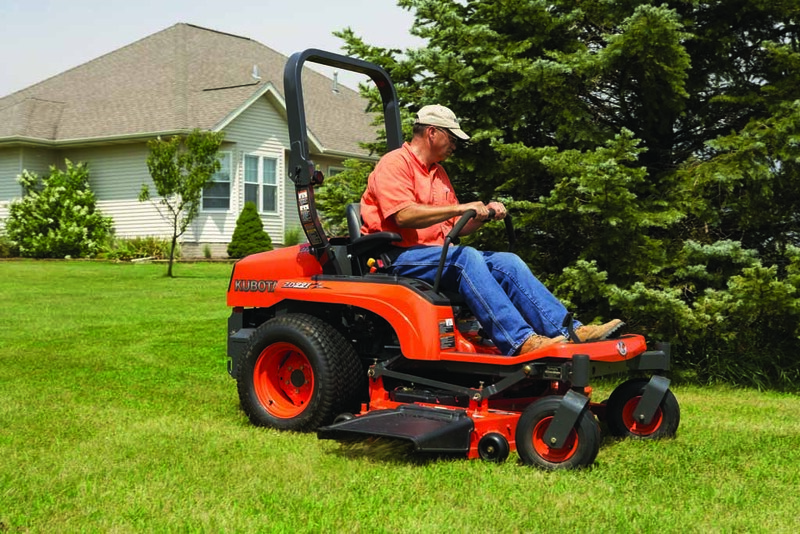 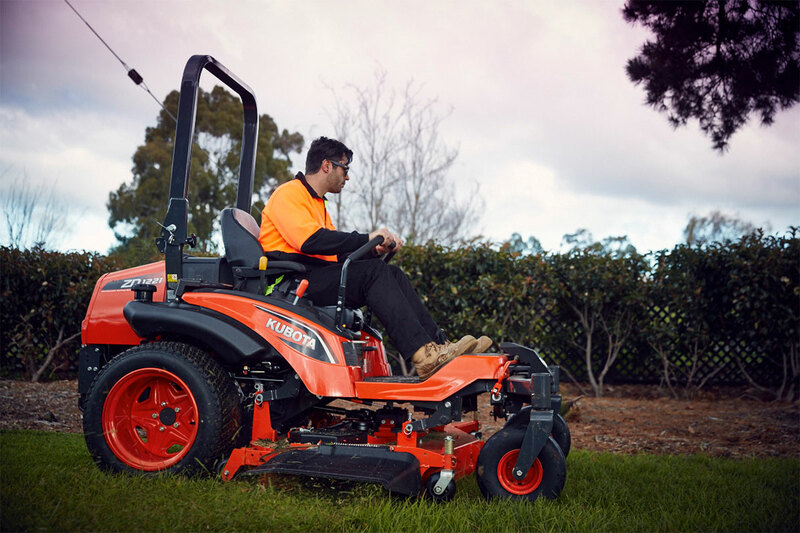 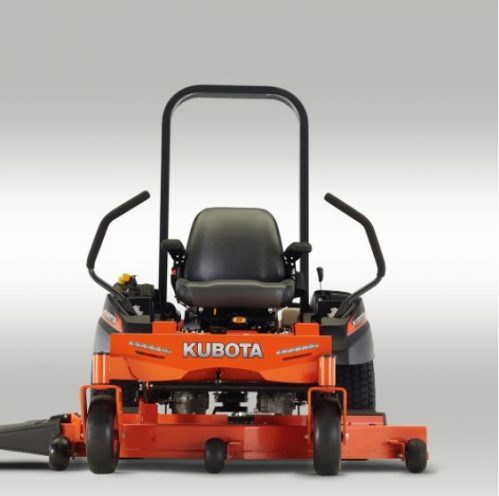 The Kubota zero turn series covers a range starting at 42″ size decks through to 72″ deck sizes with both residential and commercial options available. 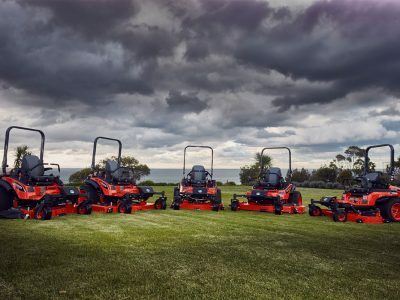 These are premium machines to suit those who want a mower that will last the distance with minimal downtime and durability. 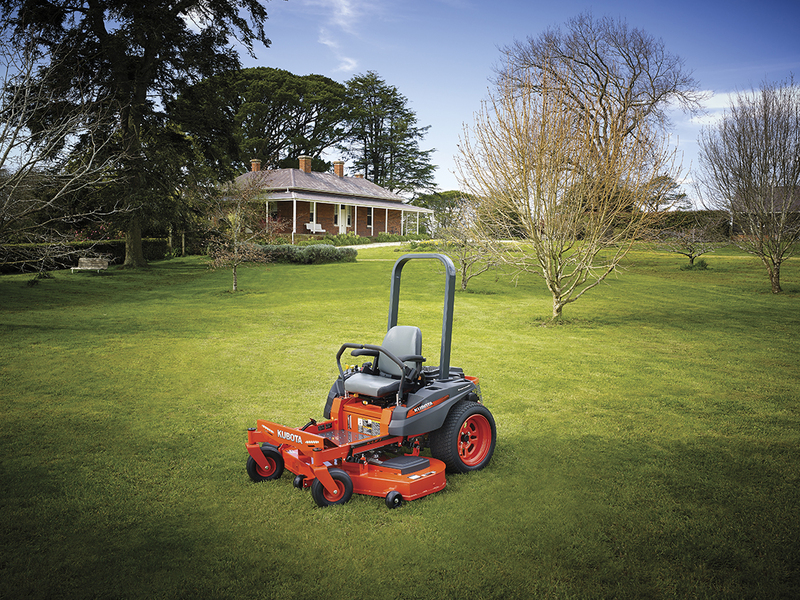 The Kubota Z 100 kommander zero turn series is the ultimate residential mower combining performance, style and comfort. 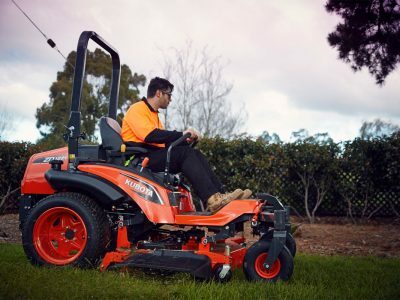 Just set your deck height with the easy reach dial, push and release the foot pedal in to lower the deck, settle into your high back seat and you will be mowing like a pro. 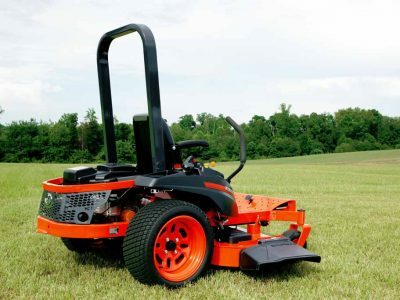 High functioning 10 gauge steel fabricated mower deck. 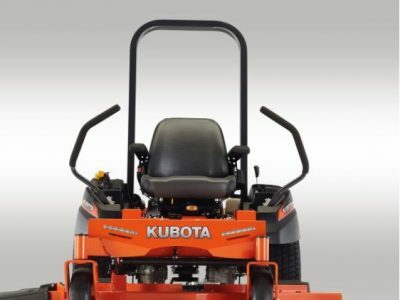 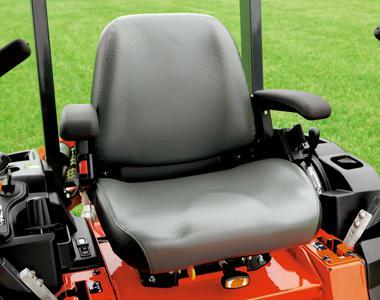 The Kubota ZG pertol series are for those who need that extra level in performance and comfort. 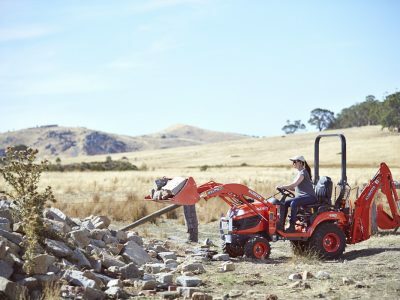 The commercial series features Kubota’s rugged petrol engines which offer you outstanding performance with quiet operation. 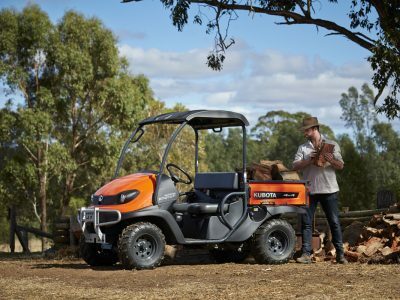 The ZD327 features a large fuel tank of 49 litres for those who need to be out mowing for longer, semi-pneumatic front caster tires so you don’t have to worry about those punctures, and the duel-element air cleaner which lets you know when it’s time to service the air cleaner. 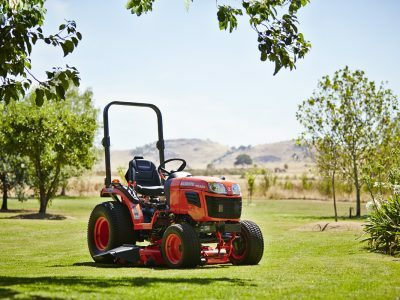 Built to take on big mowing jobs, the ZD zero turn series features diesel engines starting at 19hp to 29hp, giving you powerful performance and sheer grunt when you need it most. 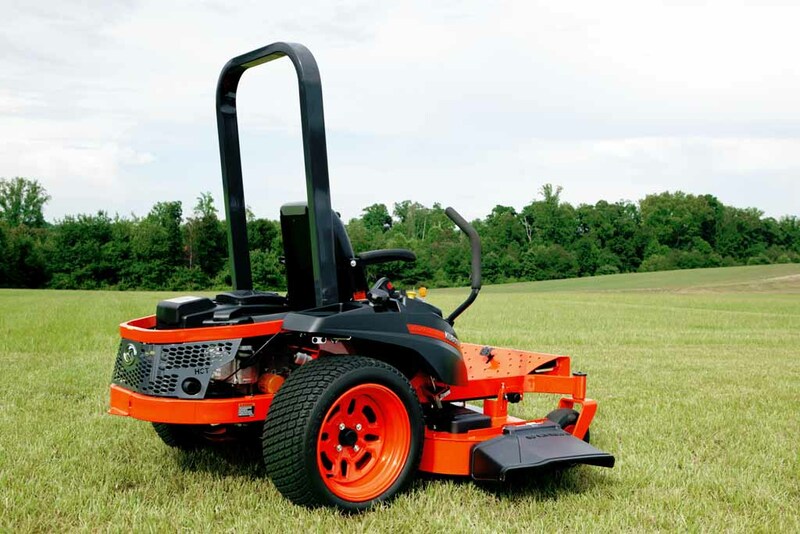 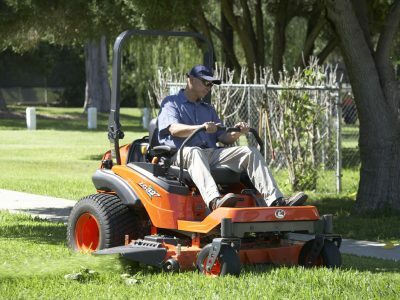 With options of a side discharge, 54″, 60″ or 72″ deck model or rear discharge 60″ or 72″ rear discharge deck, there is a diesel mower to suit your needs. 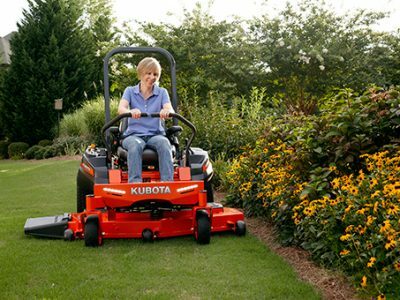 Packed with clever features such as a hands-free hydraulic deck lift and on-the-go cutting height adjustment. 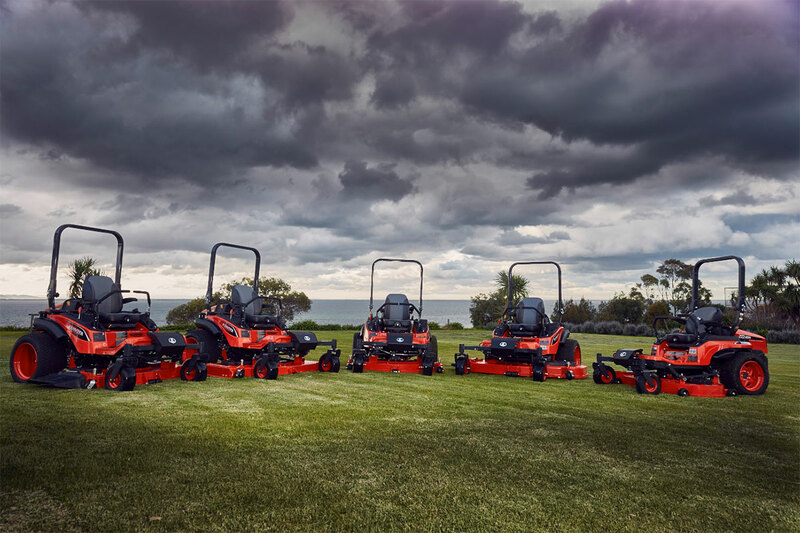 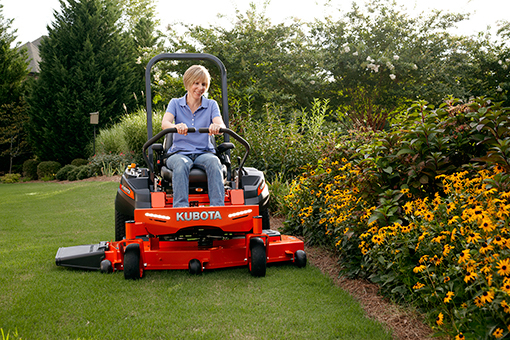 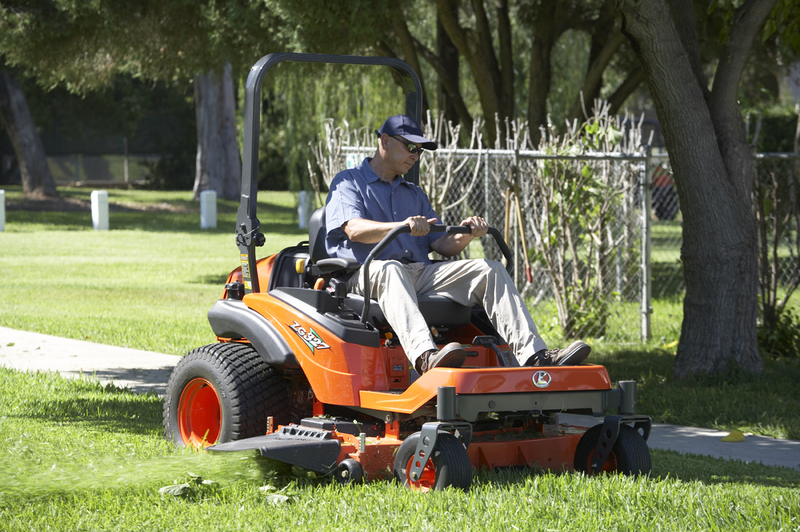 You can count on the Kubota ZD 1000 series to take on the toughest mowing jobs with ease. 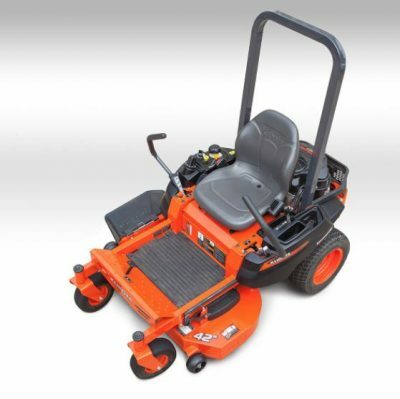 ZD1011 54” Diesel 3 cyl. 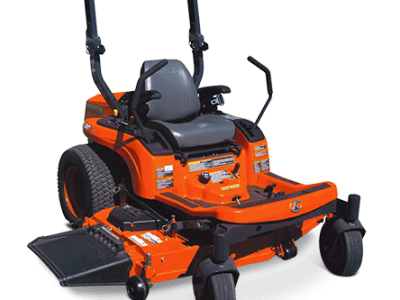 ZD1211 60″ Side Discharge Diesel 3 cyl. 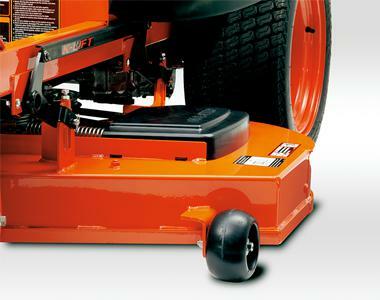 ZD1221R 60” Rear Discharge Diesel 3 cyl. 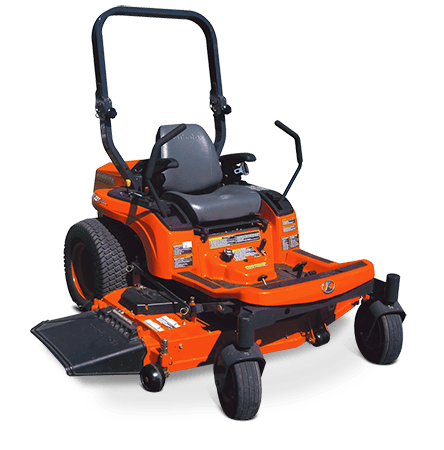 ZD1221L 72″ Side Discharge & 72″ Rear Discharge Diesel 3 cyl.